Essay writing is one compulsory task that every university and college student must be prepared to deal with. That essay writing is a compulsory activity in high school, college and university, students who are not blessed with essay writing tips may end up being scared. Some unskilled students may think of asking their mates how to write an essay. Others will simply seek help from custom essay writers online. Indeed, not all of us are able to put down our points in an essay format. We all need reliable essay writing tips to write excellent essay papers. How do you write a good essay? The following are essay writing tips that you need to write an essay that can score high. Make a decision on the type of essay you want to craft. Come up with your essay topic. Conduct proper research on your essay topic. One may think that the 7 tips to writing a good essay are only needed for a complex essay paper, and not a simple one. Nonetheless, when you adhere to above essay writing tips, you will manage to turn in the best essay paper. 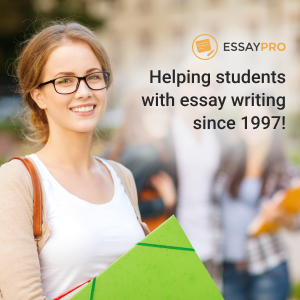 Expository essay: This type of essay helps the reader understand how to go through a particular process. A good example would be an expository essay paper describing how to write an essay, or one describing how to write a research paper. Comparative essay: This type of essay explains to the reader how two different things are related or how they are different. It is mainly based on comparing and contrasting various aspects of the topic. Narrative essay: In a narrative essay, you simply tell a story, but in an orderly way. Here, you as the writer are expected to use the rules of telling a story. These include the plot, setting, character, climax and ending. Persuasive essay: Persuasive essays are also known as argumentative essays. In this type of essay, the writer uses logic and reason to prove to the reader that the point he or she is putting across is more reasonable than any other. Comprehensible arguments supported by believable facts are therefore vital for this type of essay paper. Descriptive essay: A descriptive essay is known to focus on a particular issue. This could be a person, event or even a certain location. The writer of a descriptive essay is expected to paint a picture in the readers’ mind. It is expected that the writer of such essays will engage the five senses of the reader to craft a successful essay. It is obvious that you cannot write an essay if you do not have an essay topic to write about. Taking your time to think and come up with a perfect essay topic is therefore advisable. You can pen down every essay idea that you have in mind. A perfect way could be writing your essay topic and then creating clusters of ideas that are related to it below. It is always advisable not to come up with broad or very narrow topics. This is due to the fact the a broad topic can easily make you write a very long essay, or maybe a book. Remember, you are expected to adhere to your essay instructions, and these include word count. On the other hand, a very narrow topic will only do an injustice to your essay paper. It will leave you with a shot essay, which means that you will not meet the threshold. It is certainly the best time to spend some time in the library and research, once you have come up with a good essay topic. You can also get vital information regarding your essay topic on the internet, and by interviewing people who have vast knowledge on the topic. Never forget to organize your research as you continue with the process. This makes it easy for you when it comes to writing and citing your sources. Your thesis is the backbone of your essay paper. It could only be one sentence, but it could determine whether your end product deserves an A+ or a D+. Just like your essay topic, your thesis statement should not be too wide or very narrow. It should be broad enough to leave you with adequate points to craft your essay paper in the most appropriate way. Drawing the skeleton of your essay paper will for sure help you write the best essay. It will help you make your essay sound reasonable to your reader. To draw the skeleton, write your thesis statement, and then follow with your topic sentence for your paragraphs. It certainly helps you understand and have ideas of what you will be writing in your essay before you even begin. Also, as you write your paragraphs, ensure that your facts from your research are noted below the paragraphs, and that all of them are related to your thesis statement above. The end of an essay outline is certainly the beginning of writing your essay paper. Indeed, this is the right time to put some flesh to your essay skeleton. Ensure that all instructions given by the tutor are adequately followed. Spacing, word count and even formatting style must all be taken into consideration to ensure that you score what you deserve when you finally submit your paper. Read your essay once in is complete. Get rid of all grammar and spelling errors. Make sure that the reading is flowing smoothly. Your reader should be able to understand your points and arguments without asking other questions.